Defined together with communities and landowners, the five strategies of the YUS Landscape Plan guide the conservation and socioeconomic development efforts of TKCP and our partners to ensure the sustainable health and prosperity for the living YUS landscape, its biodiversity, people, and culture. TKCP works alongside government and community partners through the Conservation Area Management Committee (CAMC) to manage the YUS Conservation Area. Conservation Area Rangers conduct patrols and ecological monitoring, and check for violations within the YUS CA. Core protected areas are mapped by Mapping Officers. 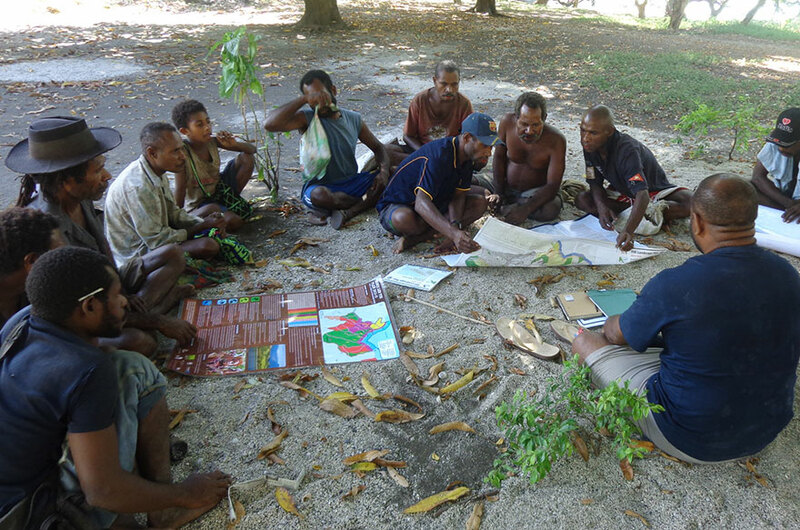 Local communities are informed and engaged in the protection of the YUS Conservation Area. A broad range of research topics are investigated by TKCP, partners, and outside researchers to inform the direction of conservation efforts across the YUS landscape. In addition to TKCP’s ongoing studies of tree kangaroo home range and behavior, other research studies examine ecological and social questions to assess needs, define responses, evaluate impact, and contribute to the global scientific knowledge of the species, ecosystems, and anthropology of YUS. 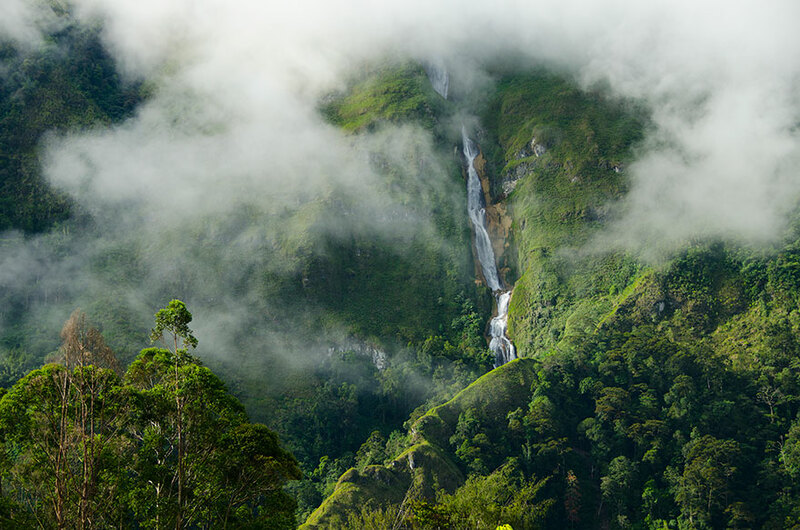 Protecting the biodiversity and habitat of YUS requires coordinated commitment and action across the entire landscape, both in and around the Conservation Area. To sustain the needs of local communities, the natural resources and services provided by the environment beyond the protected area must be maintained for the benefit of current and future generations. Managing the responsible use of the forest products, wildlife, and water in these areas will ensure the YUS communities’ continued commitment to protecting the YUS Conservation Area. The people of YUS rely on the natural environment for their day-to-day needs. TKCP works with communities to address their need for sustainable livelihoods, access to health, education, and skills training. 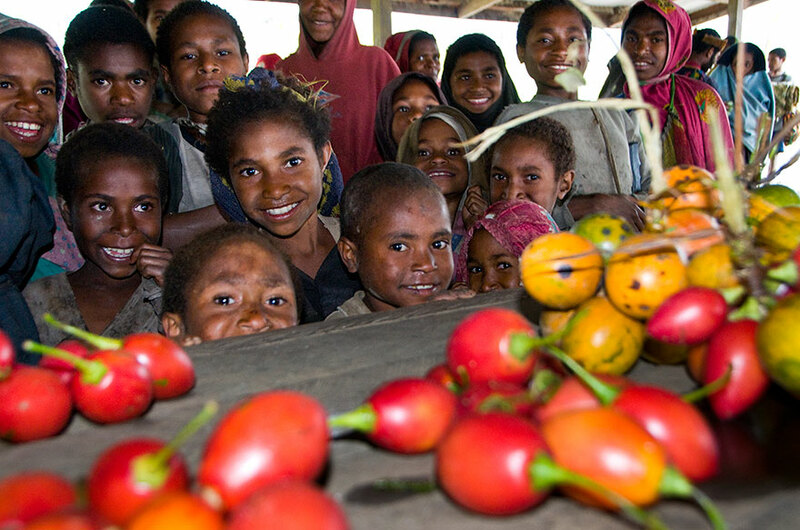 In partnership with the government, businesses, and other NGOs, TKCP builds connections to provide YUS communities with alternative opportunities which build local resilience and reduce the threat of short-term financial gain through large-scale resource extraction. The YUS conservation initiative attracts substantial worldwide attention and support. Managing such a program requires robust planning, administrative capacity, and highly competent staff. TKCP remains committed to building the resources and staff capabilities to maintain long-term support for the landscape and people of YUS. 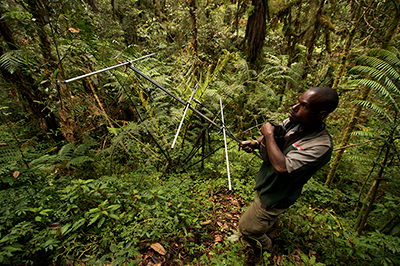 The Tree Kangaroo Conservation Program was awarded the prestigious United Nations Equator Prize in recognition of its holistic, community-led approach to habitat conservation.